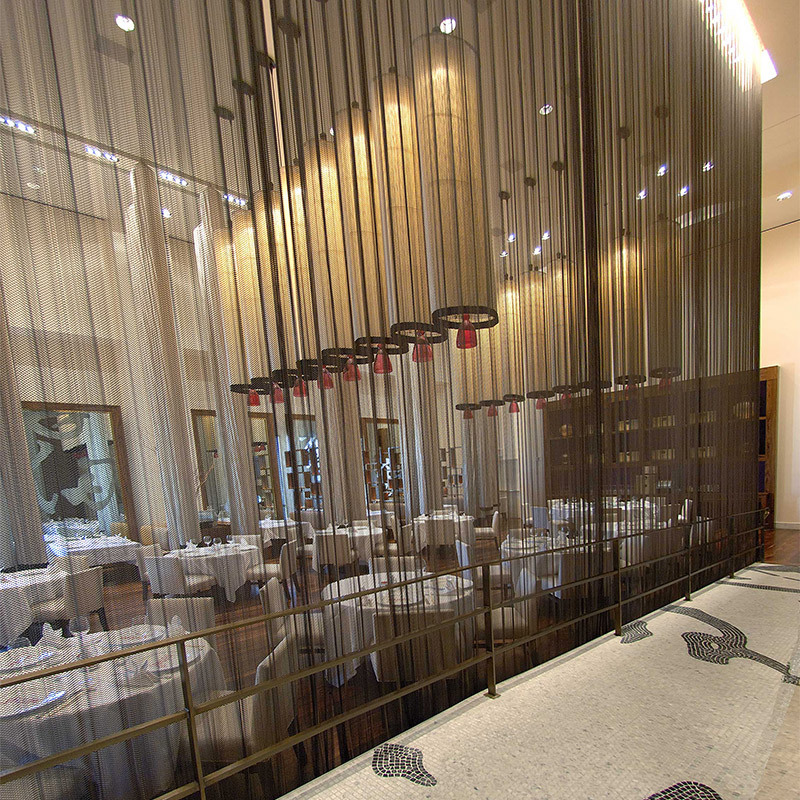 Lightweight, translucent coiled wire fabric systems are excellent area reduction solutions and ideal for section closures in restaurants, lobbies, and other public spaces. In contrast to unattractive, bulky metal gates or solid walls, coiled wire fabric acts as a visually appealing space divider that can be used in secured (closed) or unsecured (open) applications. Area reduction with coiled wire fabric is truly distinct – the material defines boundaries without entirely blocking views like solid partitions do.